Board games can provide opportunities for literacy, numeracy, communication, and social skills instruction. In order for students with special needs to access these games, we have to adapt the materials. 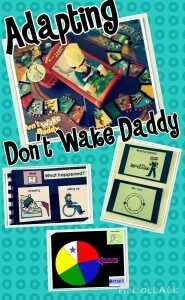 When Amanda told me that she bought 2 Don’t Wake Daddy game boards, I was excited to see how they could be adapted for our students. Unfortunately, the theme song from the 90’s TV commercial was stuck in my head the entire time. 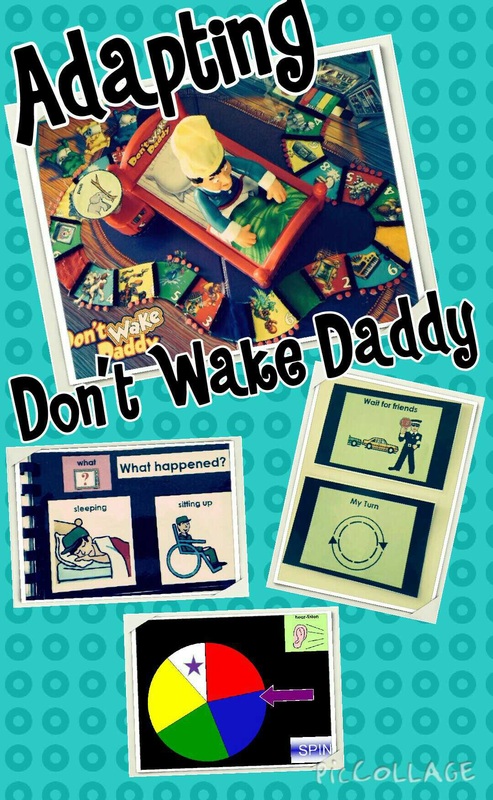 Continue reading to see how we adapted Don’t Wake Daddy. This posts contains a free PowerPoint download and ideas for communication opportunities while playing the game.